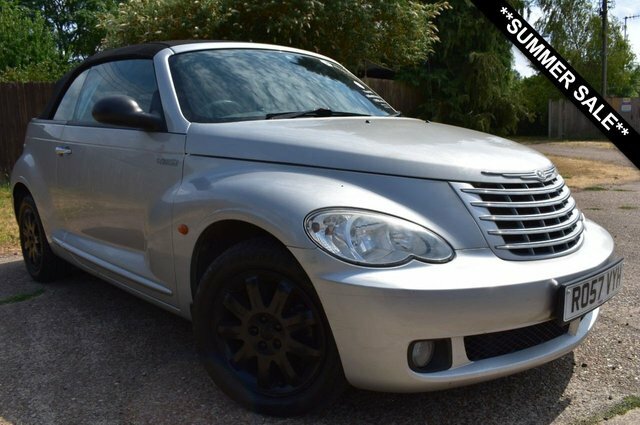 With its unique exterior styling, the Chrysler PT Cruiser is certainly capable of turning a few heads. Things are a little more conventional inside the cabin, although the spacious and practical interior makes this a solid entry into the mini-MPV category. If you're searching for a family car that's quite unlike anything else on the road, be sure to take a closer look at the latest Chrysler PT Cruiser models for sale in Brandon. Breckland Vehicle Specialists Ltd is a leading supplier of quality, affordable used cars and our friendly showroom team will be more than happy to help you find the right vehicle to suit your needs.